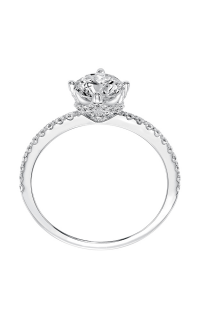 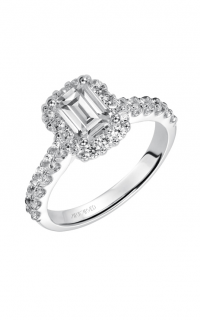 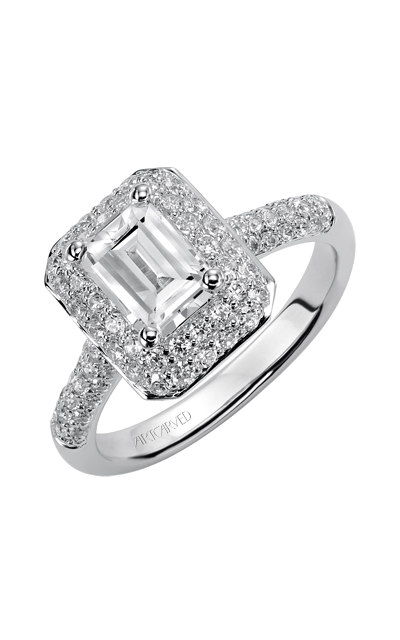 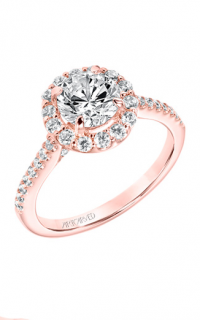 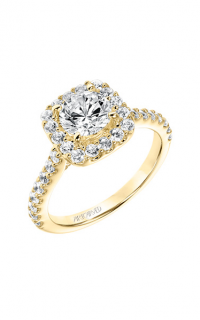 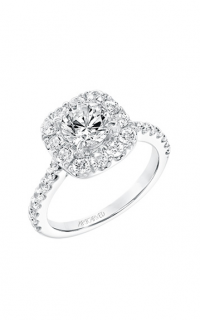 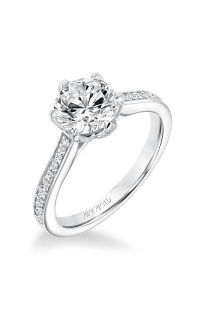 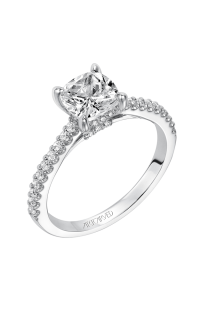 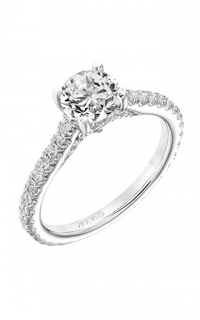 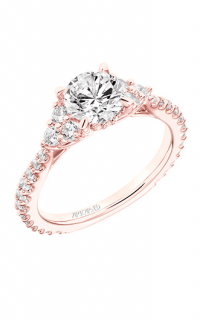 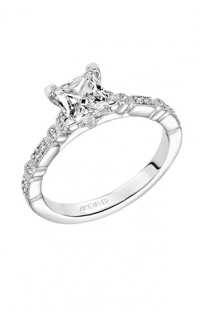 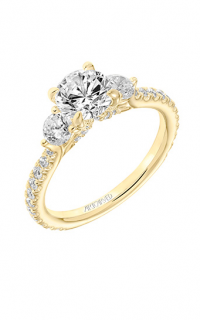 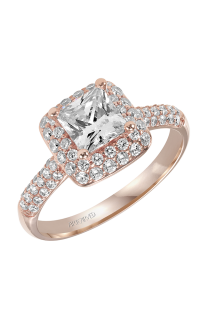 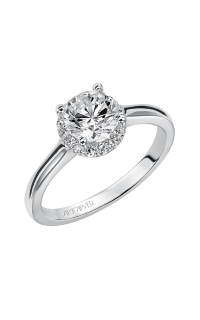 This ring doesn't come with a center stone diamond, but do not fret. 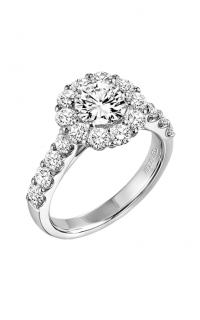 Many rings do not come with a center stone diamond. 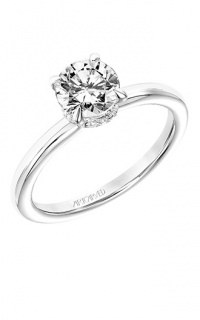 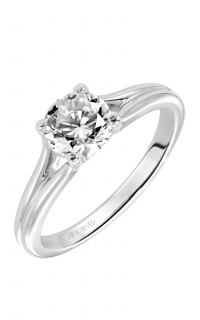 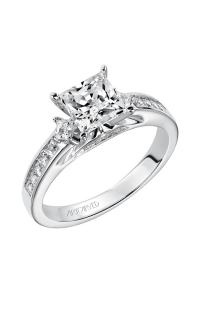 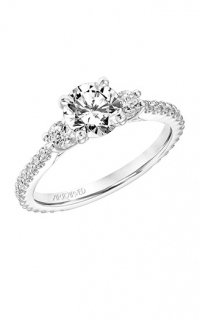 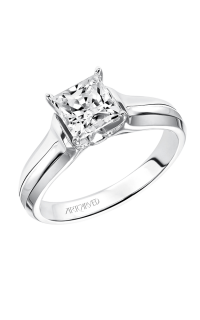 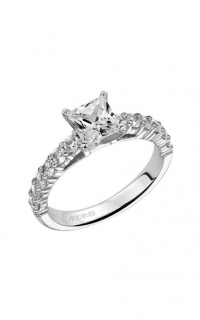 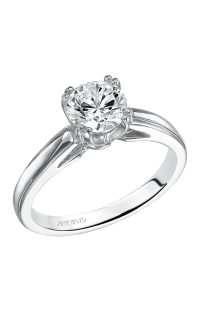 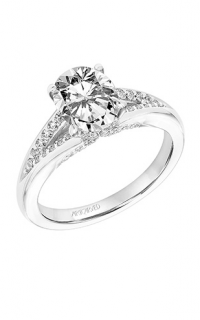 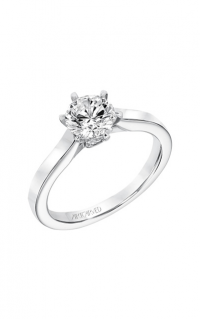 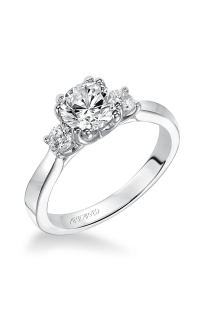 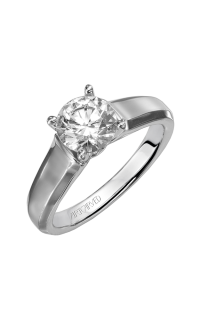 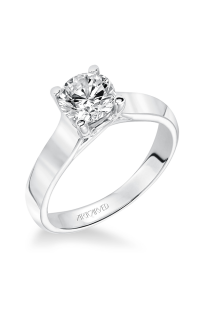 We at Mahindra Jewellers would like to help you purchase a center stone diamond to go with your ring. 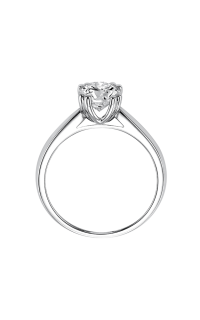 If you don't already have a diamond for this ring, please click "Purchase a diamond with this ring" where you may select the center stone diamond that will make your purchase perfect. 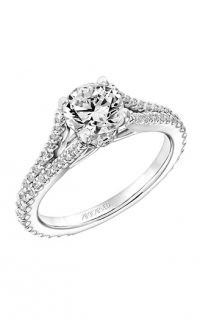 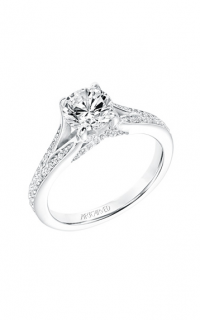 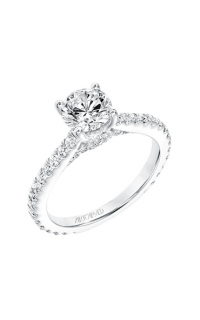 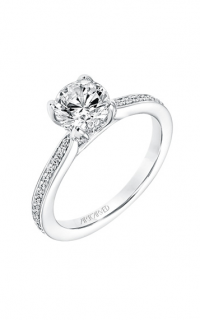 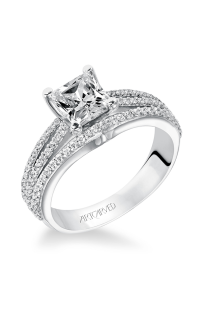 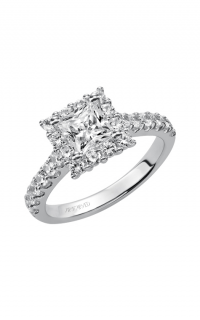 Diamond engagement ring with multi-row diamond pave shank and halo.